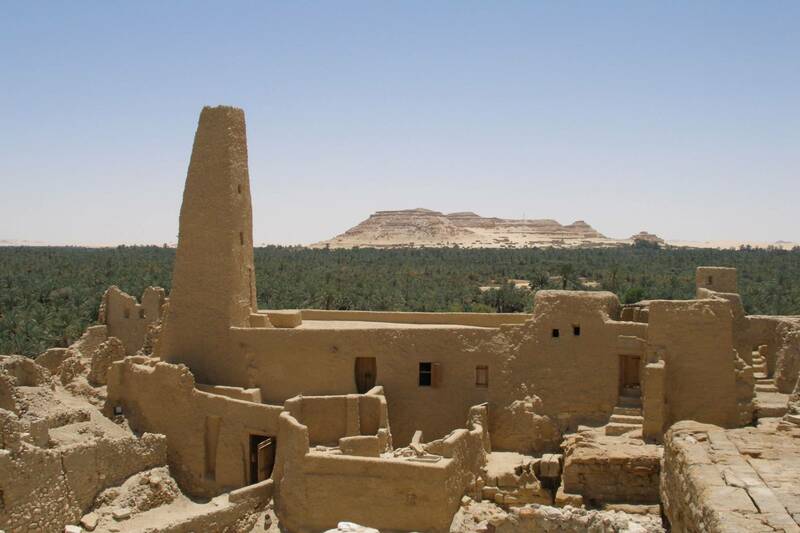 Begin with pickup from your hotel in Cairo Or Giza to transfer to Bahariya Oasis. 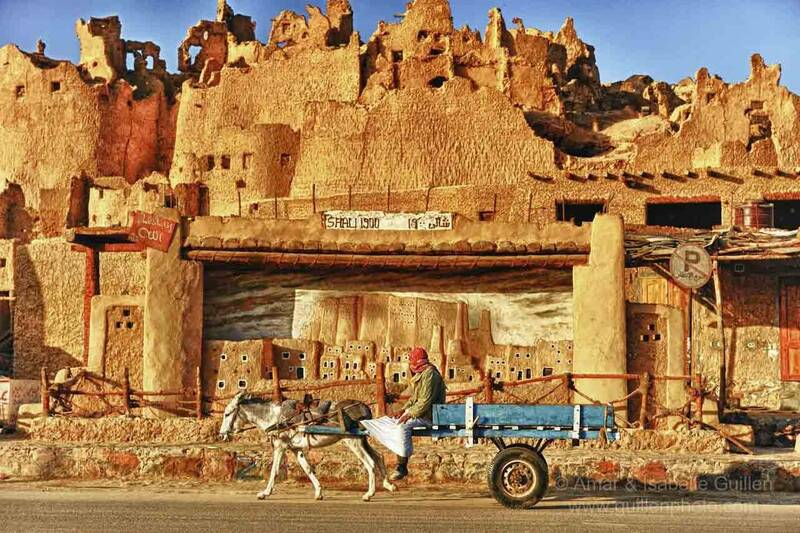 After a roughly 4-hour journey, arrive and enjoy lunch at a local Bahariya restaurant. Then, transfer to a 4x4 sharing other tourists with a local Bedouin driver at the wheel, and explore the village of Bawiti, Bahriya's capital, taking in the lush palm groves set against the immense dunes. 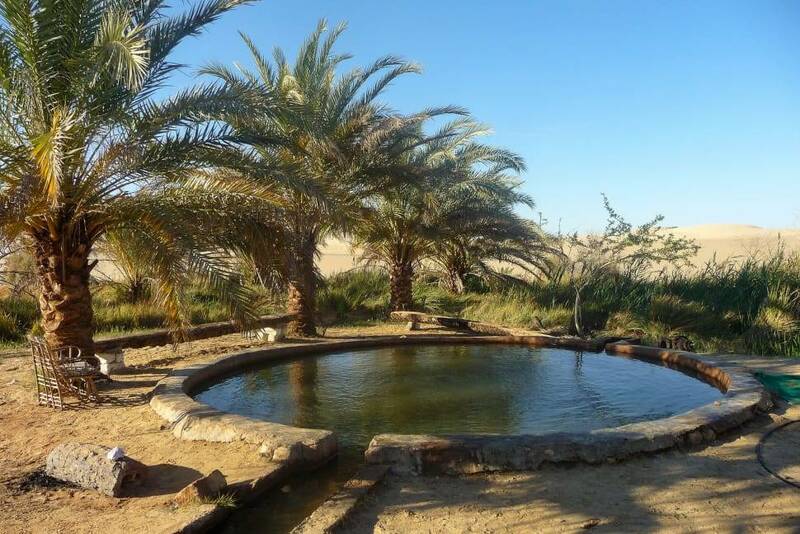 See the hot springs at Bir Al Matar and Bir El Ghaba, and climb 'English Mountain' to view the hilltop remains of a British World War I outpost. Then, pass the Salt Lake on route into the Black Desert, with its black-topped volcanic hills. View the hot spring in the Valley of El Haize, and check out Crystal Mountain, a chunk of glittering crystal rising from the sands. 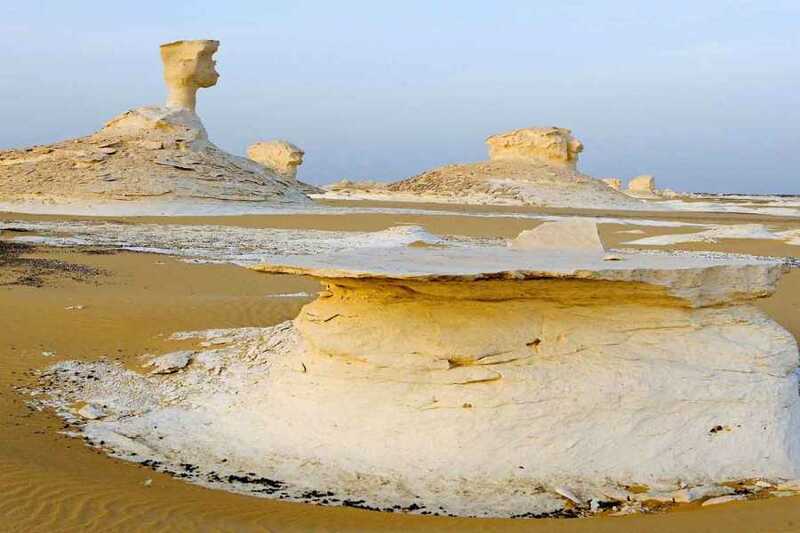 Drive through the huge, rounded rocks of the Agabat Valley, and head into the White Desert National Park, a region of spectacular, brilliant-white rock formations eroded by wind into spires, mushrooms, animals, and other bizarre shapes. Admire the ghostly shapes, and then return to El Haize to your overnight camp. Enjoy a desert sunset and barbecue dinner under the stars before snuggling into your sleeping bag on mattresses in your tent. 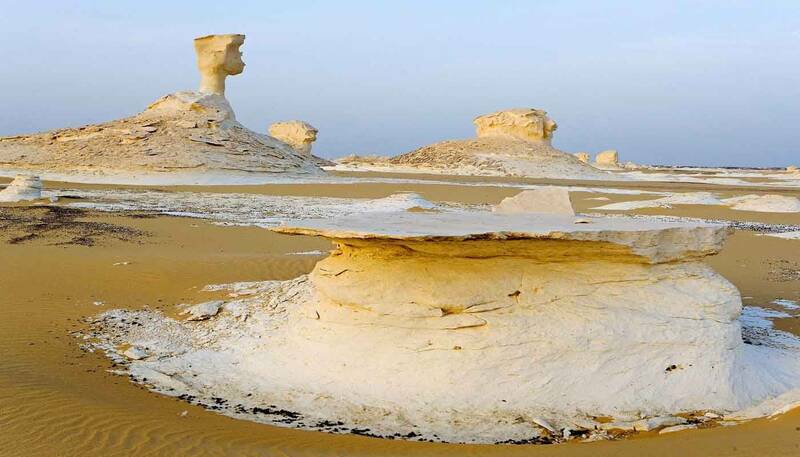 Breakfast and check out, then start your tour in Siwa by visiting the mountain of the dead (Gabel El Mawata), the Oracle temple, the Amoun Om Obyida temple, the Cleopatra spring, and the Old town Shali, drive to Cairo via Marsa Matrouh, arrival in Cairo and end of our services.